in search of the spirit trees of Cambodia. My journey took place during the spring of 2004. After a series of unexpected events I began a trip that was to become the beginings of my book. From the ravaged but still remarkable forests of northern Cambodia to the banality of a home counties garden store. I want you to know what's happening to paradise in the name of progress and cheap commodities. 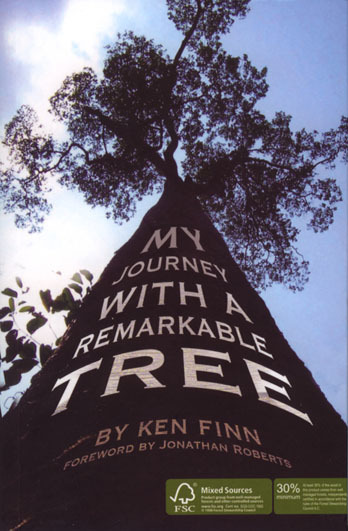 "My Journey With a Remarkable Tree"
Have you crossed my book? Buy a signed copy direct from the author! If you would like to sell copies at your event to raise funds for charity contact me for preferential rates!